Oh would you look at that, the forums are back online. At last I can tell you guys about my latest project, MANGA SHADERS FOR DAZ STUDIO 4! Now thing is, i've already posted most of my progress over at my Tumblr, so rather than repost all of the images here, here is a link to all of the Manga Style Shader posts on my Tumblr. Now allow me to summarise. Manga Style is a shader for Daz Studio 4 that takes the lighting and texture information of a model, and generates a dynamic screentone pattern, similar to what is used in many black and white comic books (such as Japanese manga). The screentone effect is completely flat (like true screentone), and can be customised widely. Not only do you have the ability to scale the screentone effect via the tiling values, but the screentone effect itself is based on a black and white image file. You can use any pattern you like, allowing you to mimic various different comic shading styles; round dot, diamond, perfect lines, sketchy lines, cross hatching, scribbles, and more. On top of all that, you also have ink outlines that can change width depending on the lighting. Checked your blog.... These look real good! Would you consider making a little button for your Visual Style Shaders, similar to what they have for "Daz Studio Render" or "Reality Render" I want to use your shaders in the promo renders for a few of my upcoming products, and I'd like a convenient way of stamping that information on there rather than adding an asterisk at the bottom that reads "promotional renders done with bishounentaurus' visual style shaders in daz studio 4". Dang! You read my mind. This was going to be my first project with the new SDK. But that's okay. I'm more than happy to let you do all the coding, especially since your results look a lot better than what mine would have ;-). Thanks for the link to your blog. I'll definitely check it out. And I can't wait for these great new shaders, too. Between these and the Visual ones a lot of my work is going in a completely different direction. Looking forward to these. Could be useful helping me learn painting with my Wacom in Photoshop. Fantastic! The images on the blog look just as promising as the anime shaders did. Two question though...first, when the character is moved, does the zip-pattern track WITH the character, or does the dot pattern stay in a fixed constant position while the shape of the figure "ripples underneath? I can't really tell from the blog, but the former would seem preferable under most situations. Second, this would be even more useful if there was a utility to output matching screentones as blank zip-tone sheets so that there wouldn't be a fight trying to get the dot patterns zip on the background as the foreground (the standard manga process is to lay down full zip sheets, then take out sections by applying opaque white over them. Programs like Manga-Studio do this, but I can see that matching the second party's built in half-tone patterns to these for a consistent look would be a major bear..). It would be much quicker to load in a pattern generated at a scale/pattern that already matches the figure, but actually shading and rendering a flat background every time seems like something that could be automated and run off separately... couldn't it? first, when the character is moved, does the zip-pattern track WITH the character, or does the dot pattern stay in a fixed constant position while the shape of the figure "ripples underneath? I can't really tell from the blog, but the former would seem preferable under most situations. I took the liberty of rendering out a video of a moving sphere using the dot style (tiling set to 50 so you could clearly see the dots). As you can see, the actual screentone effect stays still, with the dots dynamically changing size to suit the lighting information. This makes the most sense to me. I also rendered out the exact same animation with the tiling set to 200, producing the much more noisy type of screentone manga is known for. What you get is a screentone that although static, undulates slightly due to the way Daz Studio renders small patterns. When you compare this to "A Detective Story" from the Animatrix (which can be seen here: http://www.youtube.com/watch?v=s4c0Aw6cl4c ), the effect is actually pretty accurate. So overall, it works perfectly fine with animations. Looks like another must have item. So what I was saying was that it would be really useful if there was an easy way to run off a whole flat screen of half-tone that exactly matched the half-tone used on the figures so that the look would be uniform, without having to build all that from the ground up every time. What you're describing is a very traditional 2D process. I'm not sure that it would translate to 3D. Well, that was the point. One of the most obvious uses for these shaders would be to create actual comics and manga, right? So, by default, a good bit of the work being done with them is probably going to end up being put together in a 2D program. That's not to say that they wouldn't still be fun to play with anyway, but because of the moire problems you run into when using halftones of different dot-pitch, it would be really useful to be able to print out a "sheet" of virtual zip tone that matches what's being used on the figure. And, of course, like I noted before, that halftone could certainly be created just by applying the shaders to planars or billboards, but most comic and manga artist I know would rather do some final tweaking after the characters have been placed in the panels and the word balloons dropped in. . The visual style shaders are already a great product and from the looks of it this product won't stay behind. Thank you for making this. I think you're overcomplicating the issue. Why not just render the background patterns separately and then use them when needed? As long as you do your character renders as .png files, you could use whatever background you want with them in photoshop. I've decided to continue posting my updates on my Tumblr blog, seeing as the forums are less than satisfactory right now. Just so you guys know, the shader now supports tri-tone. Basically you can now have three shading colours; base, shade 1, and shade 2. Specular is of course included on top of that. Just like before, the new third shading colour can have it's own screentone pattern applied to it if need be. Last thing to do is apply the bump/displacement mapping (easy), and the shader itself will be finished. All there would be left to do is make it presentable and add some additional presets. Speaking of which, does anyone know how to sort the various parameters in Shader Mixer? It seems as though they're sorted by alphabet, which causes "Diffuse - Dark" to appear over "Diffuse - Light". Is there any way to change the sorting so that I can place them in whichever order I want? Hey, does anyone know if they've fixed the forums yet? Well, they've reversed the posing order so the newest posts show up first. But they still don't seem to bring the ones with recent posts forward. I think the 800pxl limit is still in effect, too. Great, so instead of being on the fourth page, it's now on the sixteenth, thus decreasing it's chances of ever being noticed. Well, at least the e-mail notification of posts in a thread is back. That helps. Trust me, it's being noticed. :) Same as so many of us have gotten 'used to' scrolling the forum pages. I see you have zip-a-tone-like patterns for the manga images. 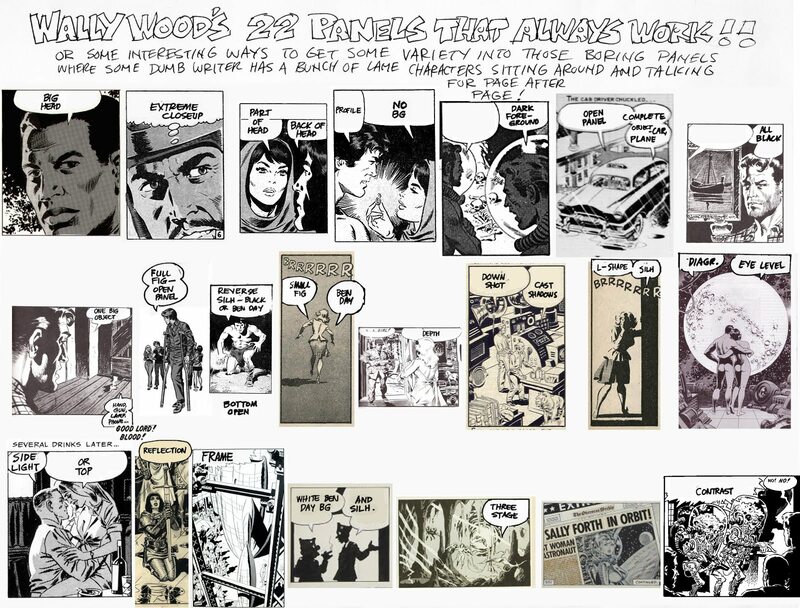 Might there be a way to get a cross-hatch-like pattern much like in Western comics? Also, might it be possible to combine the patterned shading with color for a different kind of look? Colour isn't supported, but cross hatching is. If you look at my tumblr, specifically the below post, you can see the custom screentone textures in use. This is a hopelessly lame button, I just added some text to the usual Daz one. But if you don't mind, I thought I'd post it here. Eventually I hope you or someone else comes up with one a little bit more slick. That's not lame! I think it's actually pretty good. Now I know what icon to use for my renders! Thanks, BT. I didn't see that one. It looks good. If this Shader set doesn't support color, might a future set do so? Like I said, it'd be mostly to get a Western-style comic look to renders.